There is no place more unique or pristine to go birding than where the rainforest meets the sea. The Osa Peninsula harbors over 460 species of birds including the healthiest population of Scarlet Macaws in Central America, three species of Leking Manakins, Yellow-billed and Turquoise Cotingas and even the endangered Harpy Eagle. Home to the largest remaining tract of tropical lowland rainforest and intact mangrove ecosystems along the tropical Pacific coast of Central America, the Osa Peninsula is the wildest and most spectacular region of Costa Rica. Join Osa Conservation on a special Conservation Birding Tour. 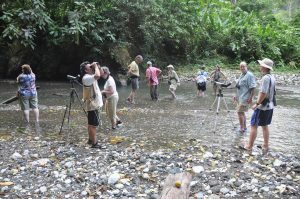 The Osa Peninsula Holiday Birding Tour in December 2011 is a week-long winter holiday getaway of birding that culminates in the Audubon Societies’ Christmas Bird Count. 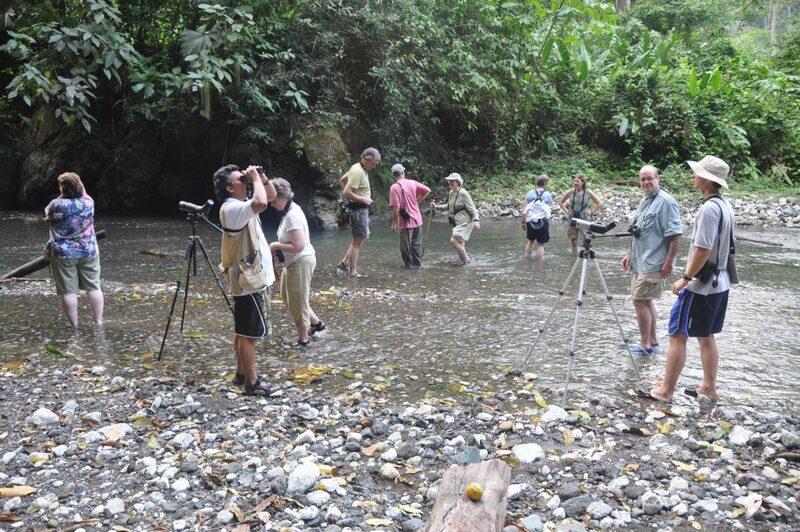 The Osa Peninsula Spring Birding Tour in March of 2012 will take you all the way around the peninsula, from rainforest to lagoons and beaches to mangroves. Both trips happen at an exciting time of year when you can see both resident birds and neotropical migrants together. Participation in OC’s Conservation birding trips supports the important mission of avian conservation in the Osa Peninsula. These trips are led by Osa Conservation’s resident ornithologist Karen Leavelle as well as trained naturalist guides who are intimately familiar with the bird species and tropical ecosystems of Osa. Conservation birding trips include intense birding, forest hikes, and nightly talks and presentations by OC’s staff of biologists and conservation professionals. Topics include Osa natural history, sea turtle conservation, wild cat conservation, avian research and conservation, reforestation, and tropical amphibians as indicator species for climate change. We welcome you to be part of our mission to conserve the peninsula’s globally significant biodiversity and we hope to see you on one of these fantastic trips! So whether you are adding to your life list or simply have a love of birds, pack up your hiking boots and binoculars and come on down for lots of great birding and what will surely be a memorable journey into paradise! Spend your holiday birding in the tropics! This trip is designed to immerse you in one of the world’s most spectacular tropical rainforests and prepare you to participate in the longest running wildlife census assessing the health of bird populations in the Americas—The Audubon Society’s Christmas Bird Count, a tradition extending for over 100 years. In addition to five exciting days of birding, you will gain an in-depth understanding of avian ecology and conservation issues in the Osa. 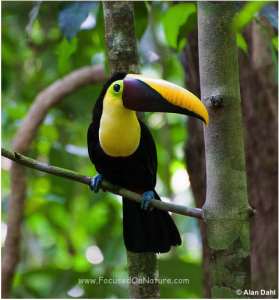 The Osa has been designated a Costa Rican Important Bird Area (IBA), an Endemic Bird Area (EBA) by Birdlife International, an Alliance for Zero Extinction Site, and is considered a global conservation priority. Don’t miss this incredible opportunity to give the gift of avian conservation! For more trip details and itinerary visit our website. 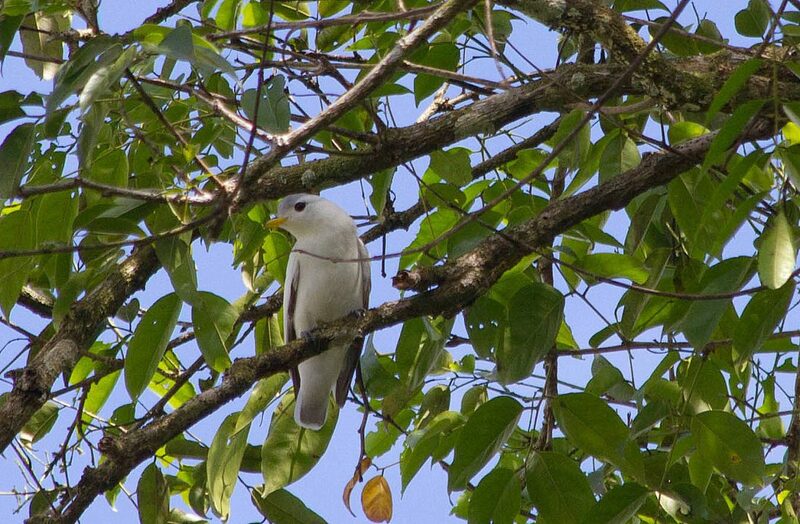 Every day is a good day for spotting birds in the Osa, but Spring is a fantastic time to observe rare and endangered resident and endemic species and neotropical migrants on the move. We’ll be looking for Mangrove hummingbirds, Yellow-Billed Cotingas, and Black-checked Ant Tanagers, to name just a few. You might even see a Baltimore Oriole or an endangered Golden-winged Warbler or two. Spend 8 days and 7 nights in one of the most intensely biodiverse tropical rainforests on earth while learning about valuable research and conservation efforts in the region. Click here to learn more. These trips promise to be a delightful experience, chock full of great people, spectacular birds and wildlife and a very rare opportunity for hands-on exposure to one of Latin America’s most important conservation areas! So don’t miss out! We look forward to seeing you soon on the Osa!